Stoneville Heights offers 60 units of federally-assisted elderly/disabled housing. 6 of 60 are handicap equipped. All have 1 bedroom, 1 full bath, kitchen and living room. Stoves and refrigerators are provided. Included utilities: electric heat, water, trash and free parking. Coin-operated washer/dryer are located on site. Bulk cable is $17/month. Community room available. Pakachoag Village offers 59 units of state-aided elderly/disabled housing. 3 units are handicap equipped. All have 1 bedroom, 1 full bath, kitchen and living room. Stoves and refrigerators are provided. Included utilities: electric heat, water, trash and free parking. Coin-operated washer/dryer are located on site. Bulk cable is $17/month. Community room available. 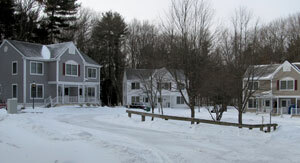 Pakachoag Village offers 31 units of federally-assisted elderly/disabled housing. 3 units are handicap equipped. All have 1 bedroom, 1 full bath, kitchen and living room. Stoves and refrigerators are provided. Included utilities: electric heat, water, trash and free parking. Coin-operated washer/dryer located in community room. Bulk cable is $17/month. Located near the Auburn Senior Center. Community room available. 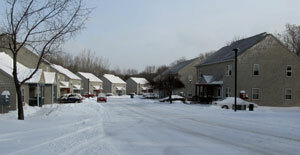 Pheasant Court offers 20 units of state-aided housing. 2, 3 and 4 bedrooms available. (1) 2 bedroom and (1) 3 bedroom are handicap equipped. Stoves and refrigerators are provided. Washer/dryer hookups are available in each unit. Utilities include: water, trash and free parking. Electric heat is the renter’s responsibility. Located at 21 Pheasant Court is the Auburn Family Youth & Services, a nonprofit resource that offers counseling, after school care and summer programs for a fee. Food pantry available on site Tuesday mornings. 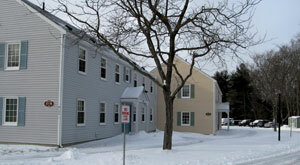 Pinebrook Court offers 12 units of federally-assisted family housing. (6) 2 bedrooms, 1 bath, (6) 3 bedrooms, 1 bath. Kitchen and living room. All located on a private cul-de-sac centrally located in Auburn. Utilities included: water and trash. 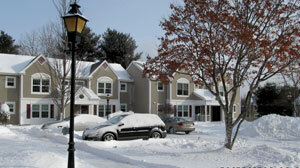 Gas and electric heat are the renter’s responsibility.